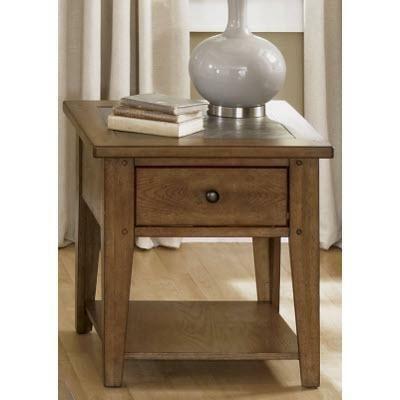 Style and convenience combine in this cottage Hearthstone end table. 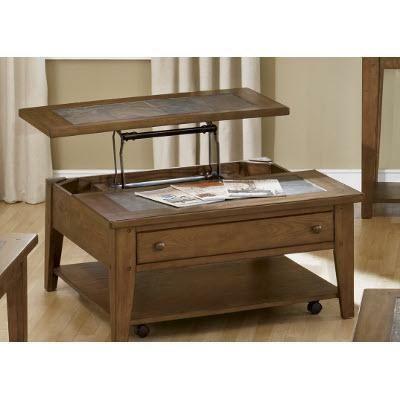 Its exquisite oak veneers over hardwoods, rustic oak finish and antiqued brass hardware will add warmth to your room. 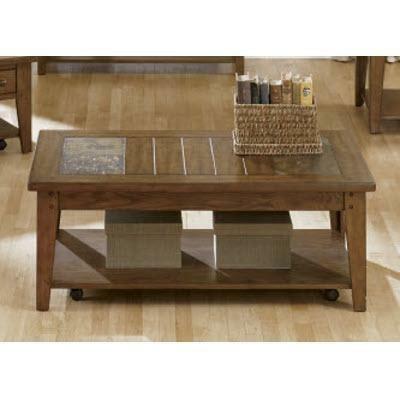 This end table also features a drawer that will give you a little extra storage space.